Many folk outside of the UK, and particularly outside of Europe, haven’t even heard of Malta. As one of Europe’s smallest countries – three islands in the Mediterranean – it is easy to overlook. But with fun and easy-to-use transport, tasty food, and gorgeous beaches, it is the perfect place to get away from the crowds and enjoy one of Europe’s true secrets. As with most countries, Malta has tons of great food. And you’ve got to eat, right? Pastizzi is one treat you’ll find on nearly every corner – it’s a flaky pastry filled with mushy peas (a spicier version of what you’d find here in the UK), or fresh ricotta cheese. It will definitely give you the energy to make it to the next tourist attraction. You’ll find lots of really nice pastas too on Malta. Their baked macaroni is laden with calories – I believe they pour béchamel sauce on it and then more cheese during the baking process to help it solidify – but I don’t think anybody has complained after tasting it. A variation on that is timpana, which has a pastry topping. 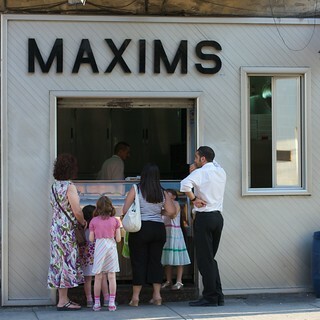 It’s normally for celebrations but many tourist-orientated restaurants have it on the menu as a regular feature. Other classic highlights of Maltanese food include their soups (meals almost always start with soup), as well as locally sourced pork and rabbit. Rabbit is served in a stew or marinated and served with chips. It’s an island, so naturally the shoreline has plenty to offer visitors. First, soak up some history with all of the fortifications and towers that line the island – before Malta’s break from Great Britain in 1964, it was a strategic defence the Greeks, the Romans, the French, and several other nations. But be sure to get up close and personal with some of the waters that these fortresses and towers overlook. Golden Bay is one of Malta’s most popular beaches – as the name implies, it is beautiful. Next door to it, and down a very steep staircase, is Ghajn Tuffieha, which has the same sandy expanse but far fewer people given the steep entrance. It’s a great place to while away a day with sand between your toes, but be sure to stick around for sunset. You don’t need to stick around the mainland for beaches. Dwejra Bay on Gozo is popular for diving, relaxing, or snorkelling. The vertical rock face that guides the channel of water out to sea really is something else, and worth the trip, even if just for the day. And if you’ve got children, or you yourself fancy some time swimming with dolphins, you can do that too, at the Mediterraneo Marine Park (http://www.mediterraneo.com.mt/). You’re guaranteed a swim, and you’ll get up to a half an hour with the dolphins – an experience you’re not likely to forget. Valetta itself, the capital of Malta, is a heritage site and mostly likely where you’ll start and end your visit. The city has many wonderful churches, a number of palaces, museums, theatres, and gardens that will keep you busy. Grab a map and let your feet take you exploring. 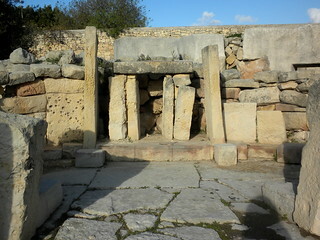 Hypogeum of Ħal-Saflieni: this is the world’s only surviving prehistoric temple that is underground. It has a long history of stories and legends, and is wildly popular. Because of this and its crumbling state, only a handful of people can visit each day – so booking well ahead of time is wise. Prehistoric Temples: It is believed the prehistoric temples of Malta – including the well known Tarxien temple complex – are the oldest free-standing structures on Earth. These buildings were established sometime around 3600 BC, and were in use until as late as 2500 BC. It is incredible that you can still see some of the intricate patterns and carvings on some of the reliefs, and walk through some of the more sturdy temples, as if their owners had just briefly stepped out for a cup of tea. Image Credits: azhitsky, craiglea, victoriapeckham, donotlick.